All of the above support levels will be listed in the Art Affair program. All of the above support levels will be listed in the July Urbana Daily Citizen "thank you" ad. 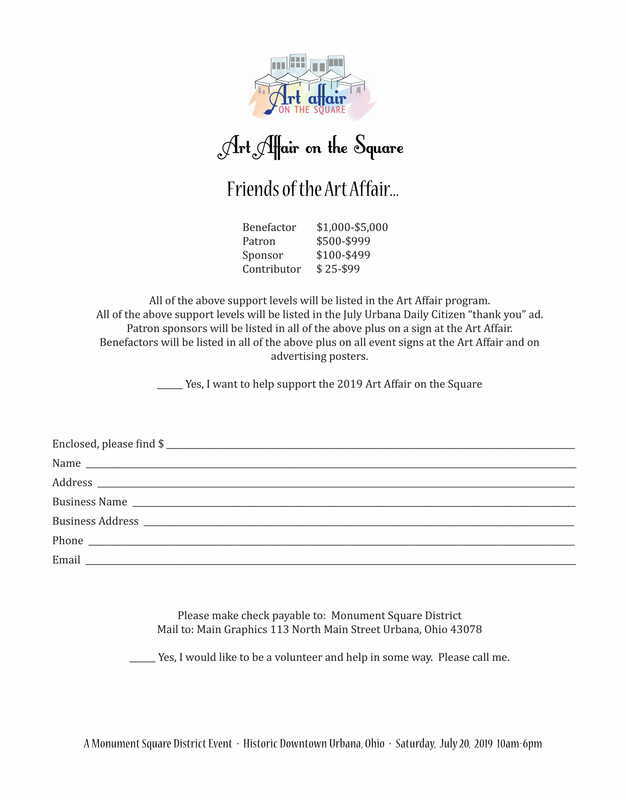 Patron sponsors will be listed in all of the above plus on all event signs at the Art Affair and on advertising posters. Make checks payable to Monument Square District. Mail to Main Graphics. 113 North Main Street, Urbana, OH 43078.